Properties in Province of Santa Cruz de Tenerife average 4.5 out of 5 stars. Property 51: Typical rural house. Property 81: Beautiful modern architectur mixed with vintage. Nice Apartment with sea views, Gigantes cliffs, and heated pool. Property 87: Nice Apartment with sea views, Gigantes cliffs, and heated pool. 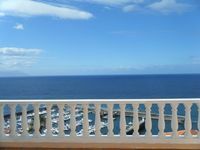 Property 91: La Somadita Tinizara, intimate Canarian house with views of the sea and the mountains. 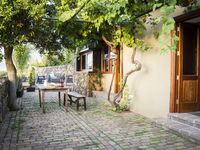 Property 92: Cattage located in the Orotava Valley, in a natural space protected. Property 96: Nature villa with pool, Naturschutzg., Modern, secluded location with breathtaking views. Sea View. We thank you for a wonderful time in La Orotava. The house and the surroundings were great again.